Are you my friend? Should I friend you? Or you me? I have a very large backlog of inquiries on Facebook, MySpace, LinkedIn and all the rest. Friend — Most of the people that Facebook calls “friends” I call Acquaintances. Actual Friend — Someone whom I’ve had a meal with, or has visited my home. Real Friend — Someone who would drive me to the airport at 6 am. True Friend — Someone who would get me out of jail. 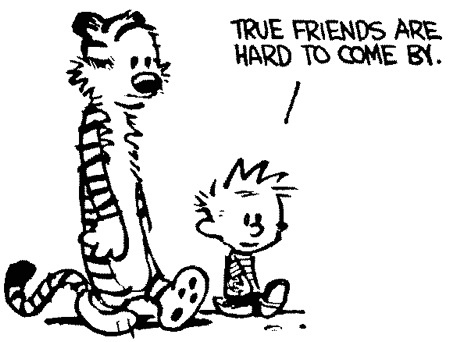 We all have lots of friends, a few real friends and — if we are lucky — one or two true friends. I am delighted to know so many acquaintances. But I only call friends Actual Friends, Real Friends, and True Friends. Some folks think this approach is too serious and not in the spirit of the social game of Web 2.0. But I think in the long run, making distinctions in friendability will make our social webs stronger.